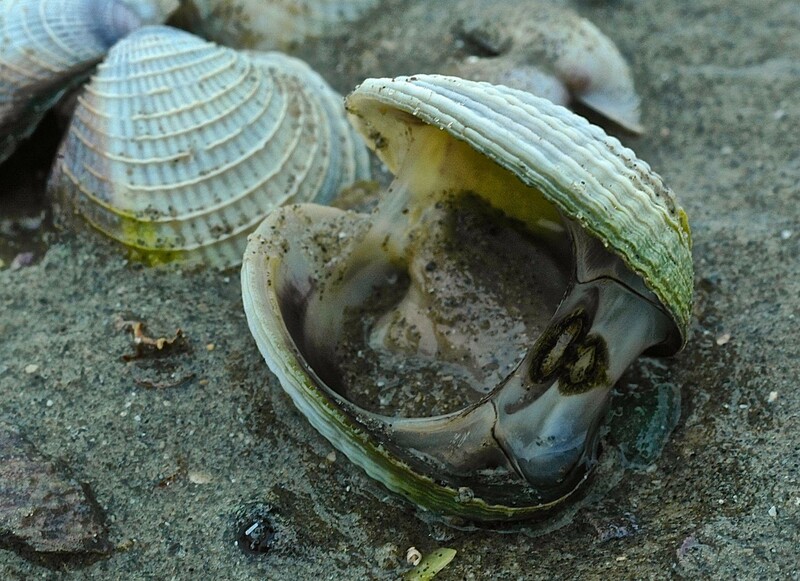 Orewa Madness! Trying to Defy Sea Level Rise? 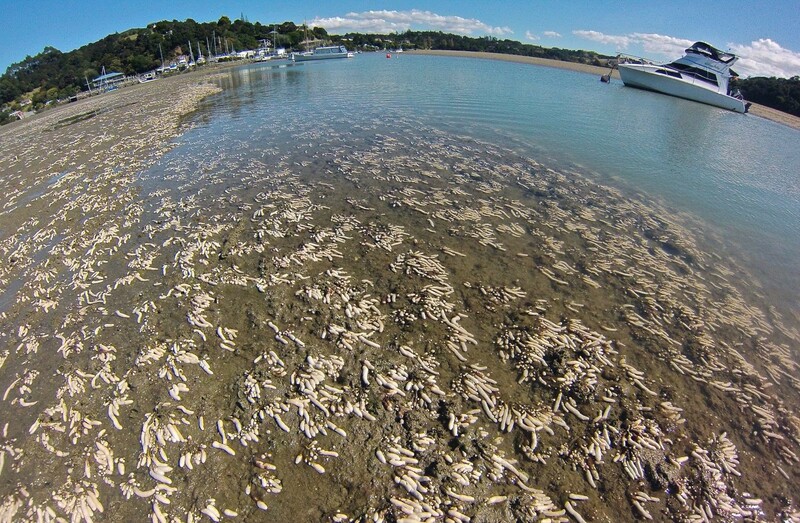 How can Auckland Council have approved this multi-million dollar apartment development on Orewa’s waterfront? These luxury apartments are being built barely twelve metres from an eroding shore, and have the ground floor only about three metres above sea level with a basement below that. With escalating risks from erosion due to rising seas such development surely should be avoided? 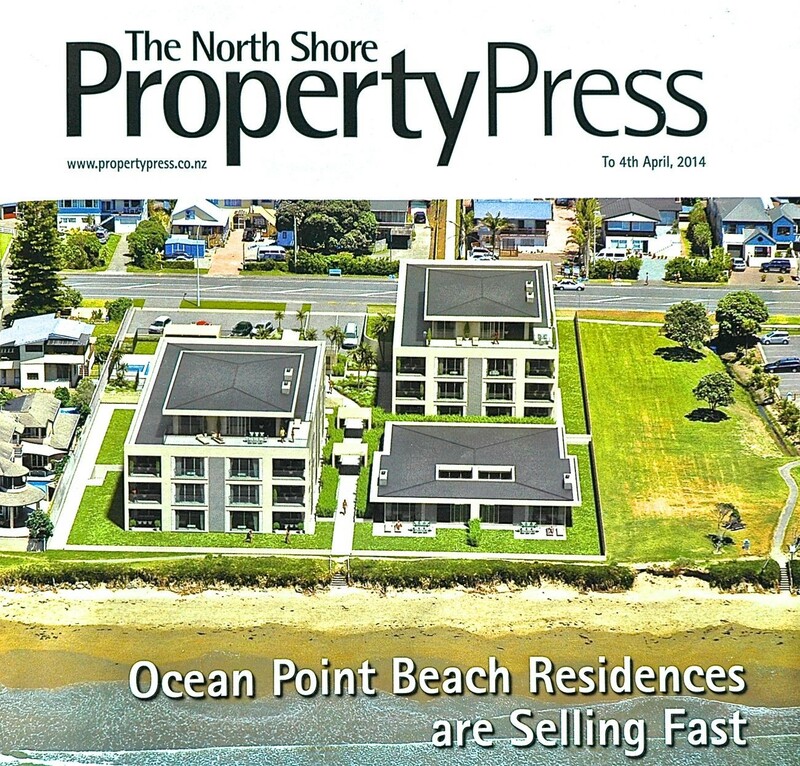 The above artist’s impression on the cover of a recent North Shore Property Press is based on a real oblique aerial photo, which clearly shows the erosion problem on the shore, the public footpath undercut on the right, and a steep erosion scarp with rocks placed in front of the proposed apartments. A trial removal of mangrove seedlings was carried out at Whangateau Harbour on 12th October 2012. 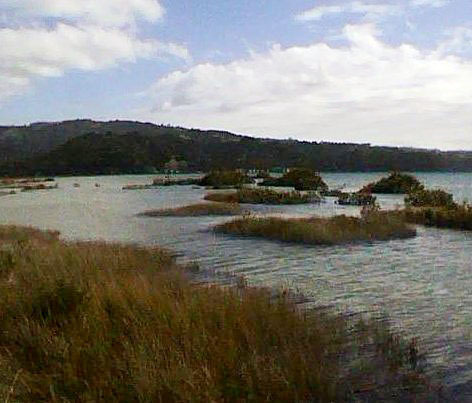 An area of approximately two hectares was cleared in the southern arm of the Harbour (Waikokopu Creek) south of the causeway to Omaha and on the eastern side of the Harbour. Details of the trial area and actual area cleared are shown in the maps below. The rate of clearance appeared to be approximately one hectare per 10 people per hour. To effectively clear, and maintain clear, the appropriate area of mangrove seedlings south of the causeway by these methods would take approximately 500 to 700 volunteer hours annually.